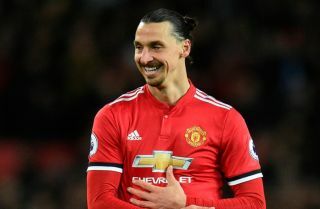 Former Man Utd star Zlatan Ibrahimovic has named the two players that he believes the club should build their future around. The 37-year-old enjoyed two productive seasons at Old Trafford between 2016 and 2018, scoring 29 goals in 53 games while winning a League Cup and Europa League. Having worked with Paul Pogba and Marcus Rashford during his stint with United, the Swede is well placed to give an opinion on the pair and assess just how good they could be moving forward. As noted in his comments below, Ibrahimovic is convinced that his former club should build around the duo moving forward, suggesting that Pogba could be the best midfielder in the world while simply insisting that Rashford is the future of United. “I think Paul Pogba has the potential to be the best player in the world in his position,” he told The Mirror. “He is a good guy, he trains hard, he listens, he wants to become better, he wants to win. He want to perform in every game. “Rashford is the future of Manchester United. In the beginning, I saw him more as an individual – now he is playing more for the collective. He is using his quality more for the team, not for himself only. Time will tell if the pair can go on and play leading roles in Man Utd’s success, but both have certainly improved and benefited from the appointment of Ole Gunnar Solskjaer. Having previously struggled to display their best form on a consistent basis under Jose Mourinho, the key duo are playing with more freedom and confidence under the interim boss, which in turn is leading to great results for United. Solskjaer will need them to continue that run in the coming weeks in order to secure a top four finish in the Premier League, while after their disappointing FA Cup exit, they’ll have to find a way past Barcelona to keep their Champions League hopes alive.